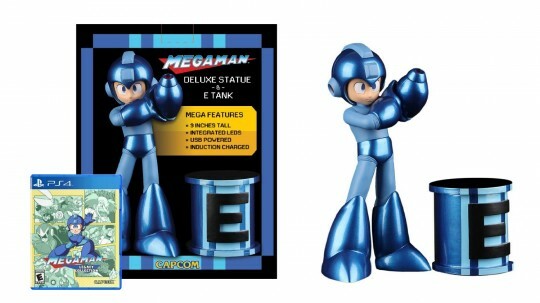 The Special Edition of the Mega Man Legacy Collection includes a 9″ tall Man statue with 4″ tall E-Tank powered by USB cord and AC adapter (Mega Man helmet and buster light up when his left leg is touching the E-Tank). This entry was added to the database on Thursday, February 4th, 2016 at 5:23 pm by THEREALDEALDUDE. This information was last updated on Thursday, May 12th, 2016 at 9:04 pm by .